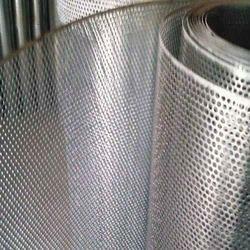 Leading Manufacturer of mild steel perforated sheet, metal perforated sheet, perforated sheets, aluminum perforated sheets, heavy metal perforated sheet and metal gratings from Nagpur. We specialize in the manufacturing and supplying of a wide gamut of Mild Steel Perforated Sheets, which is manufactured under the strict supervision of our team of experts. Known for their resistance to wear and tear, fine finish, and durability, these are widely demanded in the domestic market. 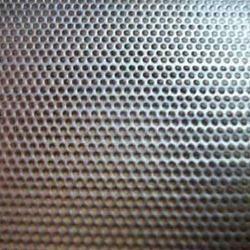 We are the leading manufacturer of Metal Perforated Sheet in india. Our sheets are tested on various quality parameters by our skilled personnel. 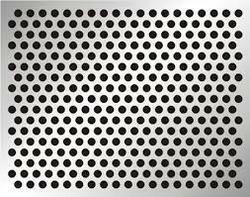 These perforated metal sheets are designed and fabricated under the supervision of professionals using high grade raw material. Available in customized forms, these are used for various purposes. ? Features: CompatibleDurableCorrosion resistant Specifications: Width : 600mm to 1500mm?Material: Stainless steel, aluminium, mild steel Thickness: 0.4 mm to 6 mm. We offer our esteemed clients with a qualitative range of Perforated Sheets. 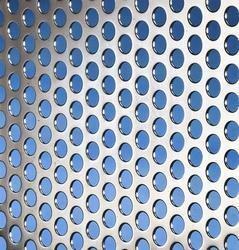 These perforated sheet metalare manufactured using premium grade. We offer these perforated sheets in oblong, rectangular, square, ovaland cable tray shapes as per the clients’ requirements. Moreover, our range finds wide usage in sugar screens and is also used in various centrifugal machines. We manufacture and supply the best perforated sheets in the country. Our range of products comprise of Aluminum Perforated Sheets, MS Perforated Sheets and GI Perforated Sheets. The products are manufactured from high-grade material. The products are tested on different parameters like finish, durability and quality. The wide range of products helps us in meeting the specific requirements of the clients. We facilitate clients with the Heavy Metal Perforated Sheet that is manufactured using high-grade metals sourced from the credible vendors. Known for its anti-corrosive properties, it has fetched high demands. Owing to the smooth finish, durability and tensile strength, the entire range of the perforated sheets offered by us is immensely praised among the clientele, we hold. 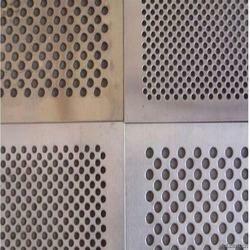 We are the leading manufacturer of Metal Gratings in india. Our sheets are tested on various quality parameters by our skilled personnel. These perforated metal sheets are designed and fabricated under the supervision of professionals using high grade raw material. Available in customized forms, these are used for various purposes. ? Features: CompatibleDurableCorrosion resistant Specifications: Width : 600mm to 1500mm?Material: Stainless steel, aluminium, mild steel Thickness: 0.4 mm to 6 mm. 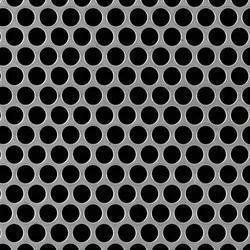 One of the trusted Manufacturer of Stainless Steel Perforated Sheets, we are offering a wide gamut of Stainless Steel Perforated Sheets in global markets. The suitability of our manufactured Stainless Steel Perforated Sheets with various industrial applications, made them hugely popular among clients. With sincere intentions to preserve and uplift our reputation in the market, we bring forth a distinguished assortment of M.S. Perforated Sheet. Widely applicable in different industries, these sheets have become the first choice of the clients. Our offered sheets are precisely manufactured using utmost-grade mild steel and cutting-edge technology in compliance with defined quality standards. Tested against various quality parameters, these sheets are delivered at client's end without any defect.